Agritopia, Gilbert is not your average community in Arizona! It is nestled on the Northwest corner of Higley and Ray Roads on a farm owned by the Johnson Family. 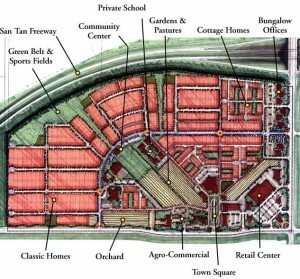 Agritopia is a livable community centered around an urban farm. A perfect mix of agriculture and utopia. The tree-lined streets, grassy areas and inviting front porches offer a quaint simple living lifestyle similar to what you would find in areas of the Midwest with an emphasize of walkability and sustainability–something that is not common for neighborhoods in Arizona. Agritopia, Gilbert community promotes a wholesome healthy lifestyle. Located in a lush green grassy setting is the neighborhood restaurant Joe’s Farm Grill where local produce from the Agritopia, Gilbert farm is used whenever possible. Overall the restaurant serves up healthy wholesome meals. Residents enjoy The Coffee Shop which specializes in American pastries and coffee drinks in addition to a self serve Farm Stand which sells local produce from the The Agritopia Farm on a weekly basis. Agritopia, Gilbert homes for sale attracts investors and owner occupied home buyers alike. 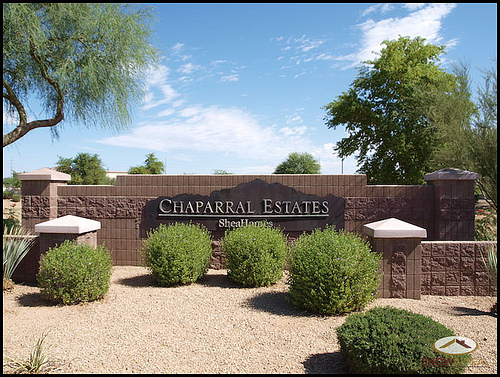 Search below all homes for sale in Agritopia, Gilbert.